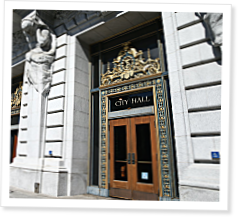 City of San Francisco cites science in asking court to dismiss American Beverage Association lawsuit challenging sugary-beverage ordinances. “Big Soda can’t fight the science. The science is clear and Big Soda’s gonna lose,” said the director of health promotion policy at the Center for Science in the Public Interest, a consumer-advocate organization based in Washington, D.C.
That’s the position of the City and County of San Francisco, which on Sept. 8 asked the U.S. District Court for the Northern District of California to dismiss the American Beverage Association’s July 24 lawsuit that said two of the city’s ordinances should be “struck down”: Ordinance No. 100-15 and Ordinance No. 98-15. In its response to the ABA, the city noted that despite nutrition scientists’ often-changing views on such foods as grains, dietary fat, high-cholesterol fare, salt, margarine, pasta, white potatoes, eggs, nuts and iceberg lettuce, none have suggested Americans increase their consumption of sugar-sweetened beverages or changed their longstanding view that significant numbers of Americans over-consume sugar-sweetened beverages. American Beverage Association sues San Francisco over health-warning language on ads for sugar-sweetened beverages. City attorneys offer strong opposition to American Beverage Association motion for a preliminary injunction seeking to strike down an ordinance requiring warnings on sugary-drink ads. I want to make it clear that I am an avid CrossFitter, and my dramatic fitness transformation due to my trainers and community at CrossFit La Verne I am eternally grateful for. Hopefully with my "street cred" cleared, you won't dismiss my comment as an attack from an outsider. I understand Coca-Cola's malicious attempts to undermine CrossFit through GEBN, but I am concerned about a double-standard with regard to supporting the use of police power of government to malign that organization. If we really trust that excellence, when unfettered by external forces will eventually prevail, shouldn't we trust that the phenomenal growth of CrossFit as a result of it's excellence will continue to increasingly undermine Coca-Cola's efforts to sell sugar-water through natural market forces? If the reason CrossFit is supporting government control over Coca-Cola is in retaliation to their efforts to utilize legislation to re-classify trainers into the domain of medicine, then that should be made more clear that this is a special case of eye for an eye. Ok. Now you can let your flaming arrows fly. Craig! A fellow libertarian, it seems, of which you are likely to find many around these parts. I had a little trouble with the libertarian case for a warning label, but setting aside the "eye for an eye" aspect of it - which might be better framed as self-defense, but we can leave that alone for now - there's a pretty good case for the warning label, even for libertarians. Let's start with a simple and honest question: do you believe there should be warning labels on poisons? How about on high voltage wires and the like? Not obviously dangerous chemicals? Warning label on cigarettes? I think there's a very good case to be made for information on products where the possible outcomes from its use/abuse are (a) non-obvious, and (b) potentially lethal. This is not government violence against sellers. It's simply informational. Once a product passes a certain threshold of "danger" to the consuming public, be it lye or other hazardous chemicals and poisons, I think there probably should be a warning label to try to minimize the people who might be hurt. At the very least, they're informed of a not-otherwise-obvious danger. I think the CDC poison stickers for kids are generally a good idea and I find it hard to make the case - even as ardent a libertarian as I am - that we shouldn't have those. It's a minimally intrusive label that raises people's awareness. This is not banning of soda. It's not trying to bankrupt Coca-Cola. It's asking merely that the companies that put products into the marketplace assume some responsibility for the "duty to warn" when the product has been shown to have deleterious effects on humans. Interestingly, one might ask why Coke an the constituent members of the ABA are fighting it so hard, seemingly in lock-step with the tactics used by the tobacco industry. One other aspect to this is the near ubiquitous advertising and marketing that has been done by these companies. Given their control over the vast majority of what the consuming public sees/hears/reads, and is bombarded with on a daily basis, I have no problem with a community - like SF - deciding they want the label. For children, sugar is a toxin. Curious to hear your thoughts on it.